Stylish duo Melanie Mount & Kelly Willrich opened their custom design workshop the WELL MADE HOME in January 2016. A full service window treatment, furniture and home furnishings workshop that is open by appointment only. 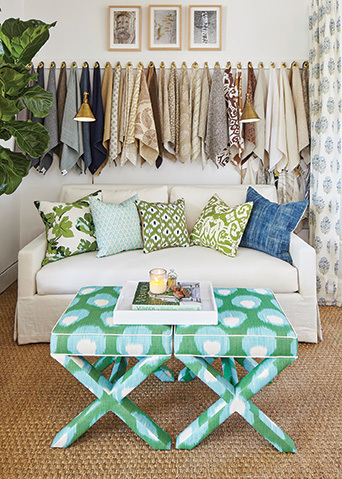 Their love of color, print and pattern draws them to textile designers such as Peter Dunham, Carolina Irving, Lisa Fine, and Kathryn Ireland to name a few, who are influenced by a European sensibility but understand the casual California lifestyle. 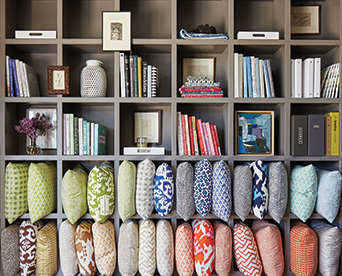 Their next venture CUSHION SHOP was born out of their belief that no room is complete without pillows. 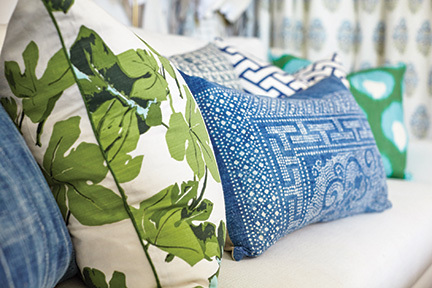 Opening this summer; a European-style atelier that offers bespoke décor pillows tailored to perfection.